How do I start? Haha! 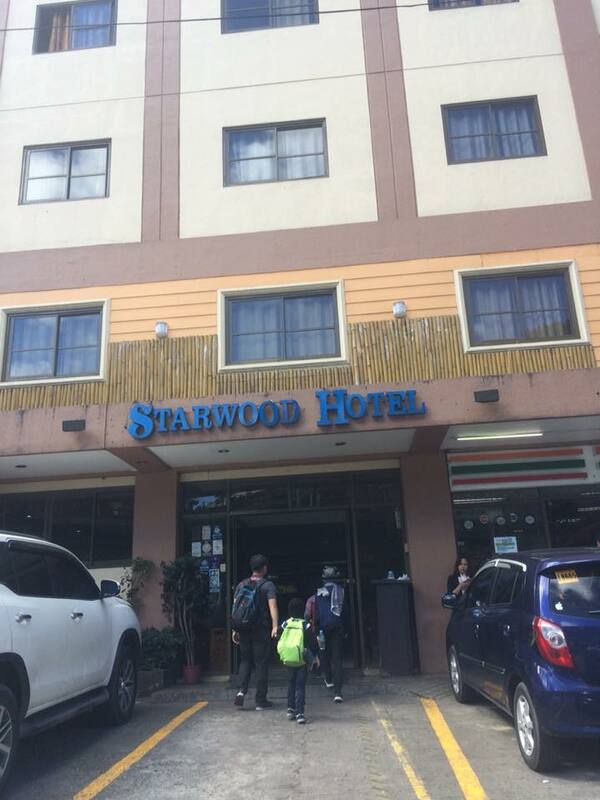 Our stay at Starwood hotel in Baguio city was quite interesting, I can’t help but laugh about it every time I remember. Let me tick off the good points first. Booking was a breeze. We called to reserve and just dropped by to pay for our room. Easy peasy! The receptionists said we could pay on the day we check in, we just wanted to confirm earlier so we won’t have to think about it anymore. 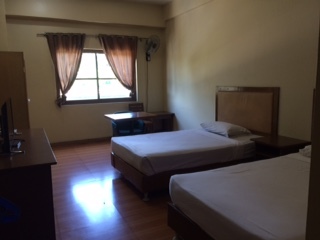 Cost is low, we only paid Php 1,900 for the room that has 2 queen-sized beds (Are those queen-sized? Looked like twin beds to me, but what do I know about beds?) There’s a 24 hours convenience store a.k.a. 7-11 downstairs, and there’s strong wifi signal in the room. 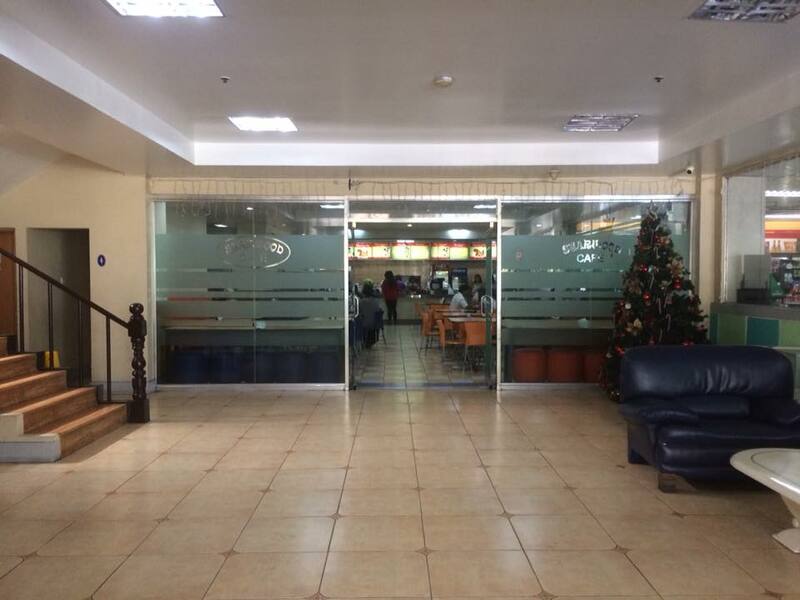 There’s also a cafeteria downstairs that sells food for very low prices, but I wouldn’t expect too much. We moved to Starwood hotel instead of booking an additional day at Albergo hotel. 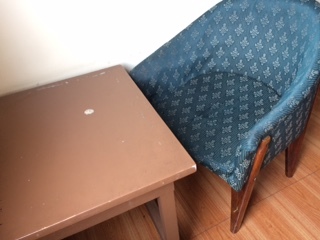 At the warning of a friend who grew up in Baguio, we knew there wasn’t much to expect from this hotel. But we’re okay since we’re paying almost half the price of the previous hotel, one night wouldn’t hurt. The service was fine and it helped that there was wifi signal in the room, because that’s important for me. I really need to check my job online every once in a while. You see, even when work is on a holiday, social media is not. One of my most important tasks is to manage our social groups and pages, and to make sure that they’re running smoothly. So to be able to check into our pages in the evening is a must. I also took note that we didn’t need to ask for line to use the phone for local calls. We just got bread and hotdogs from 7-11 in the morning since breakfast was not included in our package, which was just fine with me. The room was big enough and although the hotel is in the city, it was surprisingly quiet and serene in the evenings, with only an occasional sound of a car or a bus driving by that can be heard. Everything in the room seems old and worn out, though. Our beddings even have holes in them. And Jay cringed at the stain on the mattress. But the beddings and the blankets all seemed to have been washed. I think it’s just because they’re old, so they look old. The bed doesn’t seem like it will hold long if the kids jump on them, so Jay told them to stop doing so. To be fair, he felt the same way about the beds in Albergo hotel. 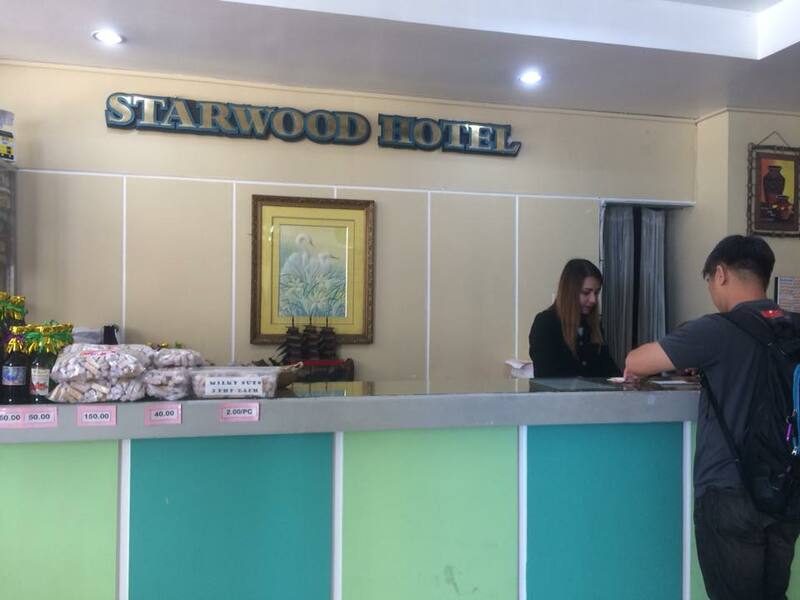 It must be standard in Baguio hotels to initially only provide one pillow for each bed, because, just like in Albergo, there were only two pillows when we arrived. The big difference was that we could have requested for as many pillows as we wanted and they would give them to us free of charge. We were tempted to ask for a lot, but just requested for three more. There were two chairs. One for dining and another old fashioned one with worn out upholstery. But it was comfortable enough for me to sit on as I worked a little on my laptop. I’m very particular with floors and was agitated when I saw soot on my kids’ feet. I begged Jay to get the floors cleaned, which he didn’t bother to do saying it’s just for one night anyway, and drove the kids to the bathroom to wash their feet. The bathroom tiles were clean, but again, old and fading. I thought the flush was broken, so we called front desk and help was there pronto. When it comes to service, they give you a prompt one. The flush does work, although you have to wait for more than the usual 10 seconds before it does what it’s supposed to do after you press on the flush button. And our shower was hanging on an unstable shower curtain hook. Jay said he got the hook that was lying around and used it to hold the shower head up since the bracket that was supposed to hold it was broken. It’s really one of those showers that can be hand-held, but we prefer an overhead shower especially for our two younger boys. The building is badly needing renovation and it smells really musty, but the place is clean. It’s really just old. Just so you know, I didn’t see a single cockroach or bug that would make me scream or run away. We stayed up until midnight so we could sing Judah the birthday song. We played Pictionary and had a lot of fun with it. Our noses were used to the smell by the time we went to bed, haha! It takes getting used to, is all I’m saying. They have a sign outside that says something like you don’t need to pay much for quality of service (non-verbatim). The service was okay, it wasn’t over the top unforgettable. But in my humble opinion, you have to balance quality service with quality facility, too. It was okay for an overnight stay, I guess, we got what we paid for. The website says they have 57 elegant rooms, with photos to boot, perhaps we got the 58th? May, you described it so well that I felt like I was part of your stay. Muntik akong mahulog sa upuan ko sa last sentence mo! HAHAHA! 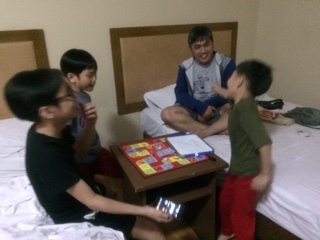 We are off to Baguio in February, but decided to book a cabin at Camp John Hay via Airbnb. At 1900, I think its a good deal already. Natawa ko sa last sentence “58th rm”. I also stayed in budget hotels and hostels so I just manage my expectations. You really get what you pay for, yan na lang din iniisip ko pag may napapansin ako sa rm namin. But nod bad for one night stay, konting tiis lang. I saw that hotel when I was browsing for one when we went to Baguio. Didnt have much nice review, that is why I didnt book it. but the price is competitive compared to other hotels in Baguio. I think, they have to renovate nga so more tourist would stay there. Maybe you’re right, you have book the 58th room. hehe! When it comes to staycations, I really searching reviews from websites and tripadvisor. 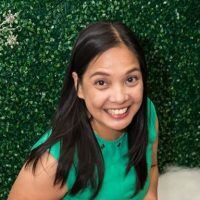 Nadali na ako ilang beses pag sa website pics lang ako tumitingin. Not queen size nga. But if there’s no cockroach, then I wouldn’t mind if the beds are not queen size. Nice, too, that there’s 7-11 downstairs. I love convenience stores because they really give convenience. Nice, too, that there’s a cafeteria. Prices like that, you really need not expect.